TNPL invited applications for recruitment to 38 Semi Skilled Workers posts. The candidates eligible for the post can apply through prescribed format on or before 31 October 2016. Tamil Nadu Newsprint and Papers Limited (TNPL) Job Notification: TNPL invited applications for recruitment to 38 Semi Skilled Workers posts. The candidates eligible for the post can apply through prescribed format on or before 31 October 2016. Educational Qualification for Semi Skilled Workers (Welder): SSLC and National Trade Certificate (NTC) in Welder Trade with not less then 60% of marks and National Apprenticeship Certificate (NAC). Educational Qualification for Semi Skilled Workers (AC & Refgn): SSLC and National Trade Certificate (NTC) in Mechanic (Refrigeration & Air-Conditioning) Trade with not less than 60% of marks and National Apprenticeship Certificate (NAC). Educational Qualification for Semi Skilled Workers (Sanitation): One Year Diploma in Sanitary Inspector Course. 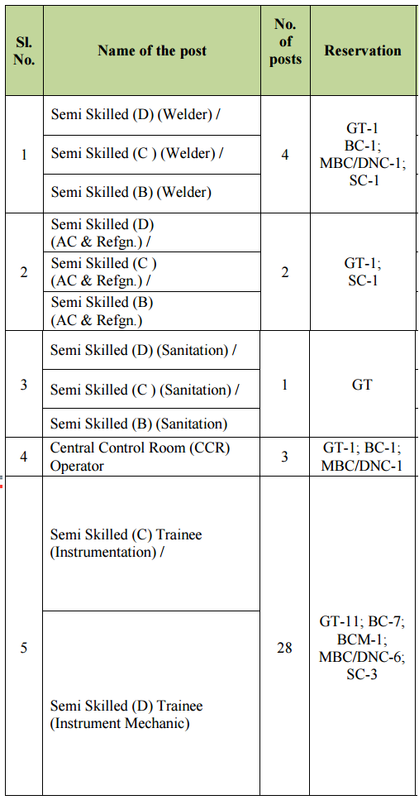 Educational Qualification for Central Control Room (CCR) Operator: First Class full time 3 years B.Sc. (Chemistry) / First Class full time Diploma in Chemical Engineering / Chemical Technology. Candidates are required to send their application in the prescribed format to General Manager (HR) Tamil Nadu Newsprint and Papers Limited Kagithapuram – 639 136, Karur District, Tamil Nadu. Applicants should enclose documentary proof for Date of Birth, Community, Educational Qualifications, Class & Percentage of Marks, Experience, salary drawn, etc, along with the Bio-data form. Previous Article CAT 2016: Download the Admit Card tomorrow!